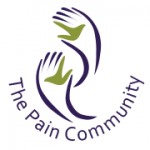 Home Page › Forums › Welcome to The Pain Community › Welcome! This topic contains 16 replies, has 12 voices, and was last updated by TPC_YaYa 2 years, 5 months ago. 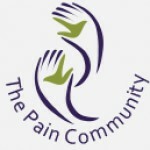 Welcome to The Pain Community (TPC) – your home for support, connection and purpose. Please introduce yourself. Site looks great! Looking forward to chats…is there a schedule yet? Welcome! We’re still working out some kinks and hope to have a schedule soon. We’re a work in progress and so glad to see folks showing up. Decided it was high time to climb out of my little box and join in the discussion about pain. I am not looking for anything in particular – but I am encouraged that I might find insight into this wonderful life of chronic pain. Welcome to the TPC family and community. It helps to have others to talk to you, we know that we are not alone on the journey. We have hosted chats on Monday-Wednesday-Friday at 11am ET and on Thursday night at 7:30pm ET. Lots of great conversation and support. If I can help you with anything please let me know. Nice to see you and meet you. I have found that by interacting here in the forums, on the chats and on the monthly support calls that it helps me a lot. 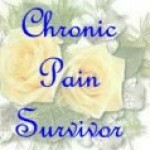 It gives me the chance to share my pain journey with others in hopes of helping them and they help me. Hi everyone! I’m new to this community! 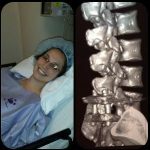 I have lived with chronic pain for 6 years from a severe back injury that compressed my lumbar spine and caused immediate, permanent damage. 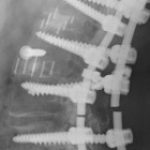 I had a spinal fusion for my “worst level”-L5/S1- in Feb 2015, tried to go back to work, developed NEW pain/issues, and had to stop working. When I stopped working, I lost the medical career that I worked toward for 8 years and it sent me into a VERY deep depression. I have been in the process of emotional/mental and physical rehabilitation since November 2015. I have definitely been through the worst (I hope!!) at this point and I have come out stronger on the other side, so I am sharing my story to try to help others who are still in the trenches! I also just joined today. I’m grateful to find a supportive community and folks who can relate to the chronic pain issues I deal with on a daily basis. You and I have had similar experiences, specifically, I too was forced to stop working in my chosen professional field. I worked 30 years as a certified sign language interpreter. I loved my job, I worked in various settings in the community as well as teamed with colleagues interpreting classes each semester at our local community college. The isolation was the hardest for me. Like you, I became very very depressed ( I have suffered from Depression and been on meds for 15 years or so). This all happened two years ago and since then my depression has been very difficult to treat. Anyway, I can relate to your story. I’m sure many others here in this community can relate as well. I’m now fused at every cervical level. The psin meds literally provide functionality for me and a reasonable quality of life. Of course, they don’t completely get rid of the psin, but it keeps it manageable most days. I am sorry it has taken me so long to welcome you to the community. I have been dealing with my pain issues, you know how it is. Also they have hosted live chats on Monday-Wednesday-Friday at 11am ET and on Thursday nights at 7:30pm ET. Call in number: 712-775-7031 Passcode: 491-268-096 and press the # key. I love these calls, so much support and they are also fun. The folks who call in are so helpful and supportive and it feels more like old friends chatting on the phone. I do hope you will give the calls and chats a try. 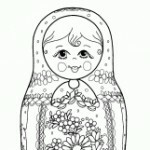 I am wondering how to change the picture? I looked around the settings and couldn’t find where it is. I have several pictures that I love to use. If anyone could let me know I’d appreciate. Welcome to TPC. You can change your profile picture by looking at the top of the window for the green bar. You will see Profile – Settings – Notifications – Log out. Clink on the profile and it takes you to your personal profile and you can change your picture. Here are two photo’s that I hope will help. If I can be of more help or answer any questions please let me know. Hello to everyone on this website. 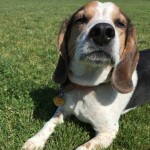 I’might not looking for any kind of treatment, just outside info that may help me with my ongoing recovery. 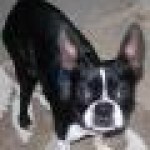 My doctors give medicines and therapies and i’m looking for other resources that may help me. I have 4 herniated disks in my back, along with one in my neck and all I get from them is , “it’seems not time for surgery.” 2 moved out further, and not by my spinal cord and still no answers. I got hit by a train 10 years ago this new years and it’seems like i’m not getting anywhere. I also have a traumatic brain injury and was wonderingoing if stretches and exercising can make things worse? Anyone have that rusk also? I have degenerative disk disease, arthritis of a 50-60 year old when I’m only 26. Anyway, hello to all and please let me know if any of you have many risks to get better and find a way to keep going. I like to hear from people who also share some of the same problems because it isn’t just from a doctor who gives a medicine and calls things good. Welcome to TPC. So sorry to hear of all the issues you are dealing with. I totally understand the degenerative disc issue. Mine started when I was 24 years old and I am now 52. It has been a long journey but I am still moving forward. I feel staying positive or has positive as possible helps with the recovery and daily living with pain. 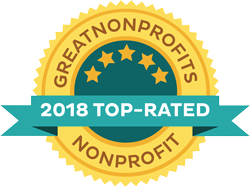 TPC has some awesome resources here on the website and they also have the morning chats and the support calls. Try all of them because you just never know when and where the answer to your questions or concerns will be there. It is nice to meet you, welcome to The Pain Community. I see that Noki4 mentioned the other resources that we have here on the website. Our chats are at 11am ET on Monday – Wednesday – Friday and at 7:30pm ET on Thursday night. The outreach support conference calls are 4 times a month and they are on Tuesdays. November 15th at 1pm ET. You do not have to register, just call this number at the correct time. If I can help you in anyway please let me know.